When it comes to marketing today’s high technology products and services, many studies have shown that it is the case study that stands head and shoulders above virtually every practice that sells to customers, whether they are repeat or new customers. Interestingly, on the customer side, case studies have been proven to be the third-highest method of content influence for purchasers at small businesses as well as large enterprises. According to a study recently completed by Eccolo Media, a San Francisco-based content agency, the tech purchasing influencers and decision makers of 500 firms concluded that among sales tools only product white sheets and brochures/data sheets carried greater weight than case studies. Of 56 percent of enterprise-wide purchasers and 23 percent of small business owners, case studies influenced their technology purchases within the past six months. It is also important to note that buyers overwhelmingly favor traditional written case studies over those presented as video, audio, one-page summaries or PowerPoint slides. The value of case studies don’t usually need any more proof than for virtually anyone to think back to the last time they made a purchasing decision for a new high-tech tool. Whatever that purchases was, chances are good that it was made based on a written case study that showed in a few lines of copy or a much longer homepage of how a product worked for another customer who was in a like or similar situation as a new prospect. 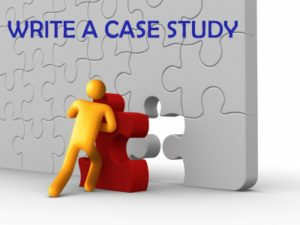 To at least a great extent, it is important to understand that case studies are probably one of the most difficult types of writing to do effectively. This is due to the fact that virtually everyone who reads a case study has such different needs and abilities. This is why categorizing them is so important. This gives you a handle to appeal to them with. This is followed by several form types you should follow. The people who read case studies could be boiled down to two types: users and decision makers. Users need to be convinced that a product will benefit them directly. On the other hand, decision makers need to be convinced that a product will save them money or pay them a benefit of another type. For example, if a GIS product is being pitched to a company, the user, who is more technology-savvy, needs to understand how things such as layering works to help them organize and present data. By contrast, the decision maker needs to understand how a GIS can help the user to organize and present data in a more organized and effective manner. Despite the fact that the decision maker might not understand how the GIS work, he will hopefully understand that the product will save or make him money. Once you have determined who your readers are and understand how different their needs are, you should determine the format for your case study when it is presented. There is probably no better formula than the old KISS style: keep it simple stupid. this is because there will always be two types of case study users: readers and skimmers. Regardless, if your case study can’t be skimmed and understood, you are wasting your time. To a great degree, it is important for you to understand that the best format for you is what works for you. Some firms succeed better with larger amounts of copy. Others are exactly the opposite. You should determine which works best for your product and use it. The bottom line, in either case, is that your customers get the information they need to make an informed decision. The same technique that has been used to tell stories for hundreds of years will do the same thing for you when you want to sell your high-tech product: you need to tell the complete story in as clear and concise a manner as possible. There should be a logical flow to your story. It should tell the story of how a problem or an opportunity existed and how the use of your high tech product was used to the benefit of the purchaser. Finally, you should present how the benefit was measured and used. It’s great to experiment with other formats, but as long as these points, conflict, protagonist, and resolution, are followed, you will have a case study that sells. Another good way to think of the case study is as a happy customer story. In other words, a case study shows how a user was converted to a happy customer by focusing on that customer and the benefit he derived from your product, not the product itself. This is done by explaining the situation the customer was in prior to using your product, his problem or the opportunity that was presented. Next, you need to explain how the customer came about selecting your product in his effort to solve a problem or exploit an opportunity. Now comes your company and how he discovered you and your product. It’s show time now. You next need to show how your product helped the customer attain the result he wanted. And finally the result. Did he solve a problem? Did he make more money? In other words, you need to show your reader how the sizzle was better than the proverbial steak. Now it’s time to put all of this together in a format that sells your product. First, whatever you do, make sure it is skimmable. Whether a person is a user or a decision maker, and regardless of how much he might want to read your case study, he might not be able to read the entire text. You need to present your study in a format that is highly readable. This includes, most importantly, presenting the information so that it can be read and digested quickly and easily. The headline. The headline must grab your reader’s attention. Subheads. Subheads present the main points of the presentation throughout. Pull quotes. A pull quote, also known as a window, is a quote that is highlighted and enlarged in the final layout. Summary. The summary, usually presented as a sidebar, is used to summarize key points of the case as well as to show resolution or benefits of a purchase. It should go without saying, but bears repeating, that the most effective salesman of your product is your current customer base. There is no one in your company who can sell your products more efficiently or more effectively than a past or current customer who has found success in the use of your product. Your case study mission is to tell their story. A lot of companies hire professional writers to help with case study writing online. You can find some of them browsing in the Internet.